Brrrr!!! It is cold, windy and rainy here in my hood. Aside from my fall decor flying around the porch on occasion, I love it. Feels like Halloween. 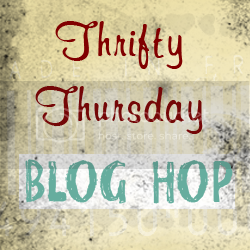 Thanks for stopping by Thrifty Thursday and sharing what you have been crafting. I love to see your ideas each week. How it Works: No giveaways, shops or links to your main blog, please. That way we know when we come to Thrifty Thursday, we will only encounter DIY projects and not end up sifting through a bunch of other links. Entries not related, or to main blog pages/shops/giveaways will be deleted. *Stop by my new Facebook page and Like it, if you like it – Click here. *Please add a text link or my button to your post! *I will choose 2 participants to feature the following Thursday, Please drop by and love on the features! 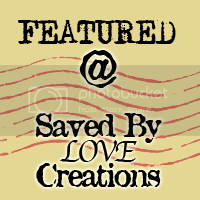 Their links are in the post where their projects are featured. *Please visit the at least the 2 blogs above you and shower them with comment love. *Leave me a comment and let me know you were here. I love hearing from you. *Have fun and be inspired! Check out this adorable pallet art at Hope Abound. I have some extra pallets, and this got my brain spinning. This paper garland at Carolyn’s Homework is fantastic. I love the dollar store crows holding it at each end!